This is the story of James “Jimmy' Mathis. It is the story of a boy who needed a home and about a family pulled apart by hard choices. It is the story about a legacy and the many people touched by it. But above all, it is the story of love and giving and how one man radiated the love for his family and gave back to his community. 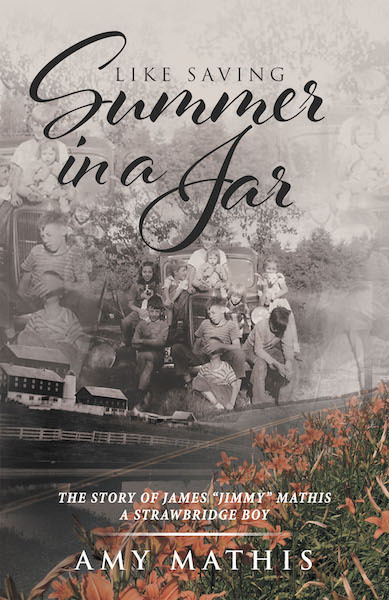 His daughter captures the story in this moving posthumous biography. Jimmy's most important experiences come from his time living at the Sykesville, Maryland based Strawbridge Home for Boys. The years spent there left an indelible mark on his life. The home offered refuge at a surprising time in Jimmy's life. The nurturing and guidance he received gave him passion, purpose, and direction. As Jimmy grows older, forms his own family, and starts his career, he never loses the faith and bottomless optimism that allowed him to influence hearts, minds, and lives. Join the journey as it begins on the steps of the boys' home then takes you through the life of this incredible man. You will be inspired to follow his example of goodness and kindness.